George Maciunas, architect and visionary founder of the Fluxus art movement, conceived the idea of establishing cooperative buildings in New York where people could freely work and create. Rare documents, structural maps and correspondence with officials detail the excruciating process he underwent to legalize SoHo that transformed the entire downtown area. Visual works by renowned Fluxus artists Shigeko Kubota and Larry Miller will be shown along with those of filmmaker Jeffrey Perkins and photographer Peter Moore. First-person interviews and historical footage will complement the exhibition. A special Guest of Honor will be the legendary avant-garde filmmaker Jonas Mekas, a close co-worker with George Maciunas during the early period of the creation of SoHo. “The SoHo phenomenon was an important creative initiative that made a significant impact on social urban development in New York. It is compelling in its grand scope and should be appreciated by both a local Lithuanian audience as well as an international one”, stated Mr. Arturas Zuokas, founder of the Jonas Mekas Visual Arts Center. The publication of “Illegal Living: 80 Wooster Street and the Evolution of SoHo” by authors Roslyn Bernstein and Shael Shapiro will be celebrated at the opening. Hundreds of artists, including Allen Ginsberg, Philip Glass, John Lennon, Hermann Nitsch, Yoko Ono, Nam June Paik, and Andy Warhol were drawn to the building by Jonas Mekas’ Cinematheque and showed their work in and around it. In conjunction with the opening of the exhibition, Deputy Director of the New Museum of Contemporary Art in New York, John Hatfield, will give a series of lectures highlighting the effects and significance of cultural neighborhoods on the economic, social and political life of a city. His main presentation in Vilnius will be at the “Ministry of Fluxus”, a new venue containing studios, galleries and performance areas for avant-garde artists. The exhibition is being hosted by the Jonas Mekas Visual Arts Center, the Jonas Mekas Foundation and The American Center and will run through September 1st. Major corporate sponsors of the exhibition are “Akropolis”, “Ukio Bankas”, “Ranga Group” and “LAWIN”. CONCEPT AND OBJECTIVE: Vilnius, Lithuania has declared itself the international capital of Fluxus art in the 21st Century and to that end has established a Ministry of Fluxus. Young artists in Lithuania have chosen this innovative intervention to establish an environment conducive to unhindered creative expression. PARTICIPANTS: Over two hundred artists, sculptors, musicians, photographers, actors and creative spirits have begun producing provocative works of art at the Ministry of Fluxus with an invitation to view the world through the prism of the previously unknown and unexpected. The Ministry of Fluxus follows in the footsteps of Lithuanian-American George Maciunas, a founder of the Fluxus movement in New York in the 1960s. VENUE: Former premises of the Ministry of Health of Lithuania located at 27 Gedimino Prospect, the main street of downtown Vilnius. The run-down and abandoned building was cleaned up by artists and their friends and has been transformed into an unconventional space for creativity, symbolically changing a building that focused on curing an ailing body into one that will cure the soul. OPENING EVENTS: On April 23rd, thousands of young Lithuanians with friends from Europe, Asia and the United States turned out to celebrate the opening of the Ministry of Fluxus. A number of completed works of art, sculpture and installations were presented along with live music and other performances. On April 24th, following a long-standing Fluxus tradition of looking to the East for inspiration, an exhibition by Japanese artists was opened and followed by a concert by the Japanese group “Gothika”. FACILITIES: The Ministry of Fluxus acts as an “Arts Incubator” and contains artists’ studios as well as gallery areas. The “e-Mekas Cinema Center” (named in honor of legendary filmmaker and Fluxus artist Jonas Mekas) exists side by side with smaller film screening halls and performance spaces. There is a “City of Future Lab” on the rooftop and a skate-boarding club in the basement. A ground-floor wine and water bar is named “The Hospital”. INTERNATIONAL DIVERSITY: Artists from other countries will find a hospitable space at the Ministry of Fluxus to create and display their work. There are a limited amount of hostel facilities available for short-term visitors. INITIATOR: Mr. Arturas Zuokas, the innovative former Mayor of Vilnius conceived the project and is the main driving force behind it. DURATION: The Ministry of Fluxus is a temporary one-year project. An exhibition “George Maciunas: Father of SoHo” will open to the public on June 1st in Vilnius, Lithuania, a city that seeks to become the new capital of Fluxus art in the 21st Century. The exhibition, which will run until September 1st, will feature rare documents, structural maps and correspondence between George Maciunas and the New York City government, relaying the intricacies of developing a project of such magnitude. 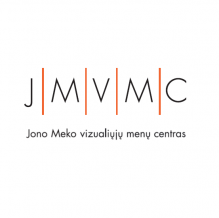 VENUE: Jonas Mekas Visual Arts Center at 14 Gyneju St., Vilnius, Lithuania. GEORGE MACIUNAS: A Lithuanian-American architect and visionary founder of the Fluxus art movement, Maciunas conceived the idea of establishing a series of cooperative buildings in New York to provide a viable place for people to freely work and create. He undertook the role of developer for these projects and for this he is generally recognized as the founder of SoHo – both as an actual place and a state of mind. Maciunas went through an excruciating process to legalize the SoHo area that many avant-garde artists came to consider their home and scores of others perceived as a Mecca for viewing and experiencing cutting-edge art. Maciunas’ efforts resulted in the transformation of the entire downtown area of New York and also led to the creation of TriBeCa. Two years after his death, SoHo became and remains one of the most fashionable areas of downtown New York with many high-end stores, boutiques and restaurants. SOHO COLLECTION: The Jonas Mekas Visual Arts Center (JMVAC) of the City of Vilnius has in its holdings an important collection of Maciunas’ Fluxus art as well as extensive archival documents. A selection of this material will be on view during the exhibition. Mr.Arturas Zuokas, founder of the JMVAC, stresses the enormous impact that Lithuanian American Maciunas had on the social urban development of New York and the significance of the exhibition in opening to public view documents that detail Maciunas’ grand-scale of thought and vision. OTHER HIGHLIGHTS: Visual works by internationally renowned Fluxus artists Shigeko Kubota and Larry Miller will be shown along with those of filmmaker Jeffrey Perkins and photographer Peter Moore. First-person interviews and historical footage will complement the exhibition. SPECIAL GUEST OF HONOR: Legendary avant-garde filmmaker Jonas Mekas, a close co-worker of Maciunas’ during the early period of the creation of SoHo will attend a VIP preview of the exhibition on May 29th. Illegal Living is the biography of a building that reveals the life of Fluxus and tells the story of 80 Wooster Street, the first successful artists’ cooperative located in the area of New York City now known as SoHo. Reborn after seven decades of life as a manufacturing building, it assumed a vibrant new identity when it became the headquarters for George Maciunas, founder of the avant-garde art movement, Fluxus. Maciunas bought the building in 1967 and transformed it into Fluxhouse Cooperative No. II, the first of sixteen live-work coop loft buildings with which he was involved. The building became a hub for art-world events. Jonas Mekas’ Cinematheque was based there, as was Anthology Film Archives. Yoko Ono and John Lennon created and executed many projects in the building. Dancer Trisha Brown, Fluxus artist, Robert Watts, artist Charles Ross and Director Richard Foreman lived and/or worked there. Philip Glass had the first performance of his own work in the ground floor space. Drawing upon original photographs, archival papers, and architectural floor plans, and relying upon in-depth interviews with artists and activists, Illegal Living closely examines the history of 80 Wooster Street, in so doing illuminating the evolution of SoHo as an arts community. AUTHORS: Roslyn Bernstein is a professor of journalism and creative writing at Baruch College of the City University of New York (CUNY). She also teaches feature writing at the CUNY Graduate School of Journalism. Her book, Boardwalk Stories appeared in 2009. Bernstein has published news and feature articles, catalogue essays and opinion pieces on education, neighborhood development, media, culture and the arts for such publications as the New York Times, Newsday, the Village Voice, New York Magazine, Parents, Contemporanea, Artnews, the Columbia Journalism Review, and Buzzine.com. Shael Shapiro is an architect who was a pioneer in SoHo. George Maciunas consulted with him about architectural matters for 80 Wooster Street and other buildings. In 1971 at the height of the Fluxus movement, Shapiro assisted Maciunas in the production of a Yoko Ono/John Lennon museum show, and he then worked for Lennon and Ono for over a year. Shapiro specializes in the adaptive reuse of buildings and was the architect for the PS1 artist studios and museum in Queens, New York which opened in 1976. The Downtown Collection of the Fales Library at New York University has acquired Shapiro’s personal papers relating to the development of SoHo and the conversion of loft buildings. PUBLISHER: The book Illegal Living is being published in Vilnius, Lithuania by the Jonas Mekas Foundation and is tied into the opening of the exhibition “George Maciunas: Father of SoHo” at the Jonas Mekas Visual Arts Center in Vilnius, Lithuania which will open on June 1st at 14 Gyneju St. and run until September 1st. Mr. John Hatfield, the Deputy Director of the New Museum of Contemporary Art in New York, will present a series of lectures on May 27-29 in Lithuania on the effects and significance of cultural neighborhoods on the economic, social and political life of a city. BACKGROUND: John Hatfield, an arts administrator for over twenty years in New York City, has firsthand knowledge of downtown Manhattan’s cultural development and planning. He has worked at the New Museum of Contemporary Art in several capacities since 1992 and currently serves as Deputy Director. He is responsible for the management of museum operations as well as for managing real estate development and city and state relations. In 2002, Mr. Hatfield served as Assistant Vice President, Memorial, Cultural & Civic Programs for the Lower Manhattan Development Corporation where he worked to ensure the successful implementation of all plans and processes related to the selection and creation of a memorial to the events of September 11, 2001 and the cultural development of the World Trade Center site. TOPIC: Mr. Hatfield will discuss how neighborhoods in cities become cultural destinations and the main ingredients of a successful cultural district i.e. intellectual capital, real estate development, infrastructure and opportunity. A main topic will be the overview of SoHo’s transformation and evolution over the last thirty years into more of a commercial destination rather than a cultural one. Mr. Hatfield will also take a look at the coming into being of new cultural districts in New York City such as Chelsea and the Lower East Side which is the new location of the New Museum of Contemporary Art. International models such as Bilbao, Spain and Berlin, Germany will be touched upon. DATES AND VENUES: A presentation will be made to key urban planners and cultural decision-makers in the Vilnius Municipal government on May 27th. The presentation will be repeated on May 28th in Kaunas, the second largest city in Lithuania to Kaunas municipal officials. A keynote speaking engagement will take place on May 29th at the newly opened avant-garde arts incubator in the capital city of Vilnius called The Ministry of Fluxus located at 27 Gedimino Prospect that will be open to the public. HOSTS: Mr. Hatfield will be in Lithuania at the invitation of The American Center. His lecture series is tied into the opening of the exhibition “George Maciunas: Father of SoHo” at the Jonas Mekas Visual Arts Center in Vilnius, Lithuania that will open on June 1st at 14 Gyneju St. and run until September 1st.